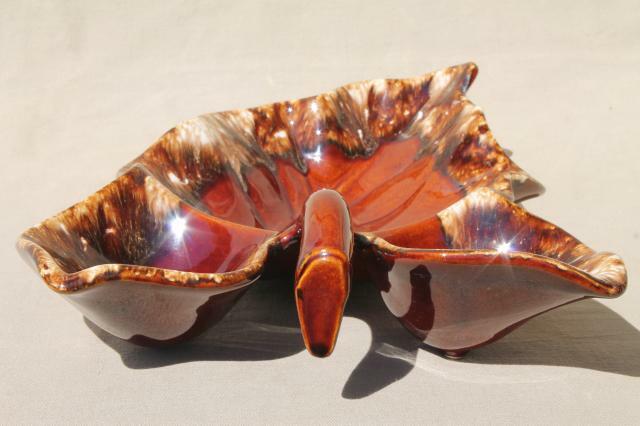 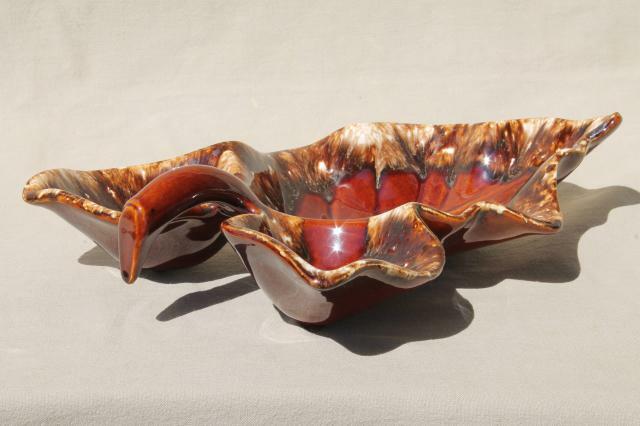 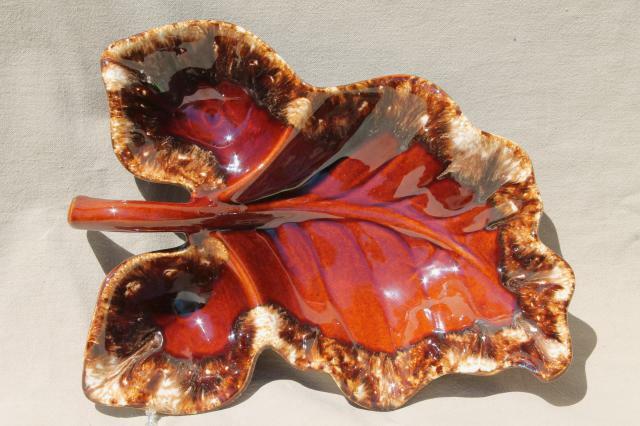 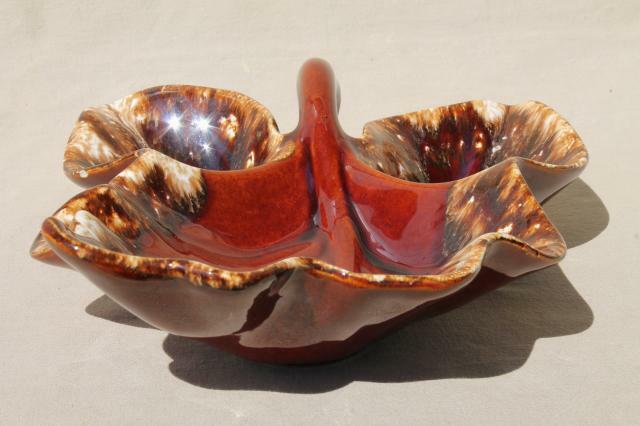 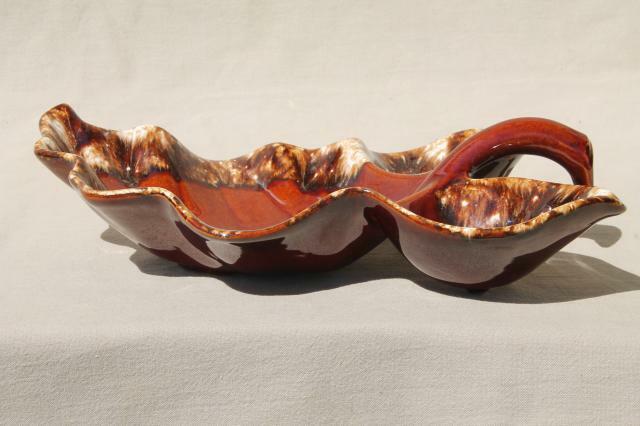 Huge tropical leaf shaped serving dish about 14" long end to end. 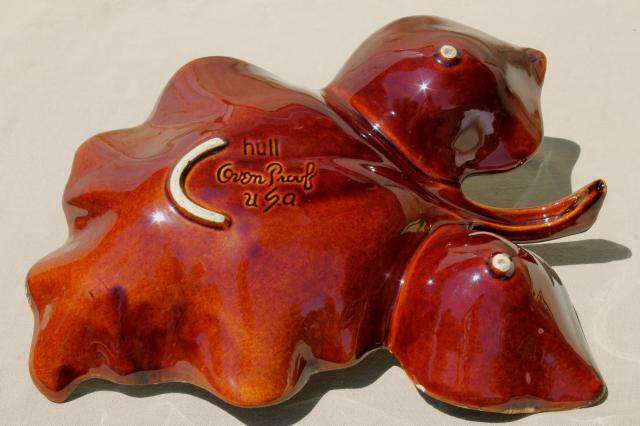 This is vintage Hull pottery with the brown drip glaze, very retro! 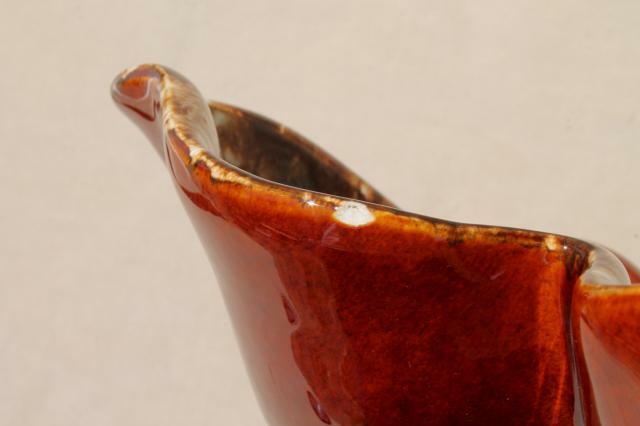 There's a small glaze chip to the rim, but no other condition problems.